'Deep' is perhaps the word most associated with the career of Fred P, and for once is an accurate portrayal. Eleven albums, innumerable releases and decades of Djing into his career, the New York-turned-Berlin resident continues to push further into his own sound, craft, and mind. For those fortunate enough to be present for one of Fred's cathartic, physical and spiritual DJ sets, the dancefloor is not just a place for enjoyment, but for potential. That opportunity for potential – his own, yours, that of our collective consciousness – has long-been the earnest pursuit of Fred P, channelled expertly through his evolved and deeply personal exploration of house and techno music. 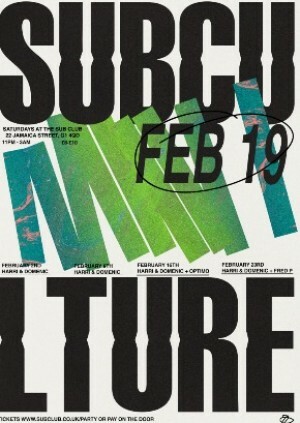 Sounds perfect for a Saturday night at Subculture, right?